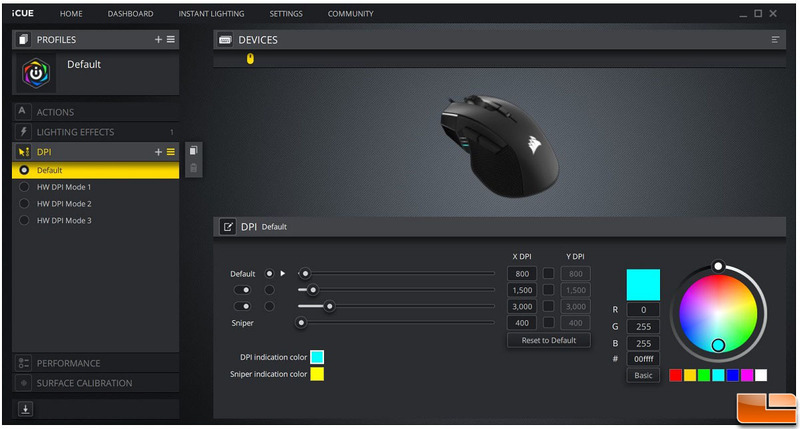 In the profile section, we can see there are three hardware profiles for the Ironclaw mouse. 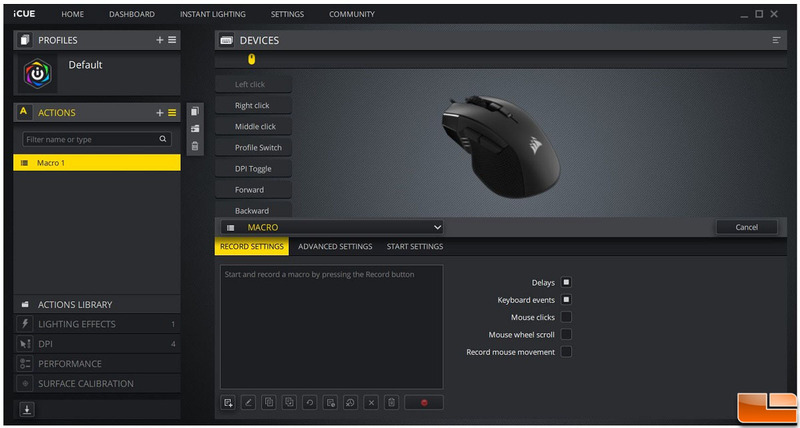 Each profile can store separate DPI settings, lighting effects, macros, and remapped buttons. 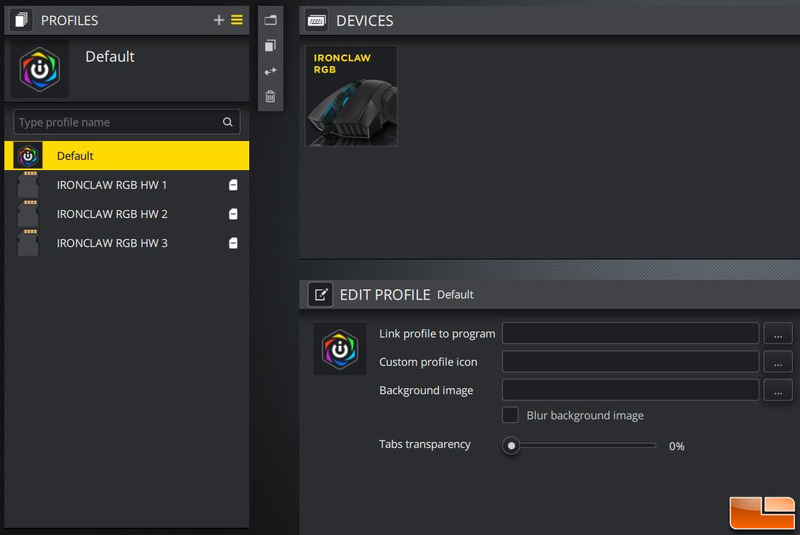 There is also an option to import or export profiles from one device to another. 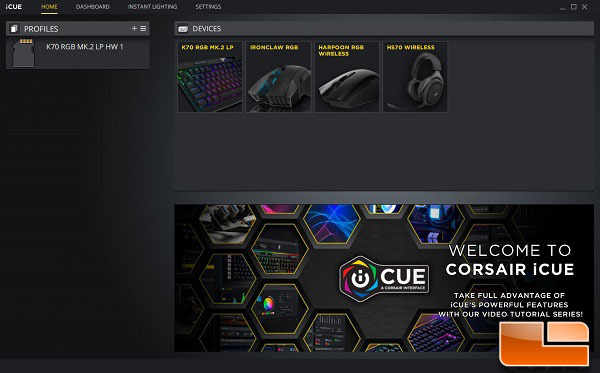 Lighting effects still maintain the same flexibility as previous Corsair products. With the iCUE application running in the background, we can have more advanced lighting effects with more control and flexibility. The onboard hardware memory can store just basic lighting effects, so nothing too crazy of any sort. 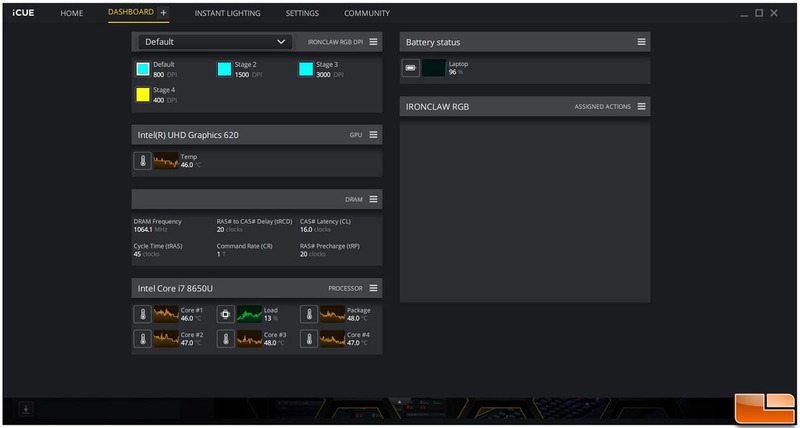 By default, there are three DPI settings available with a sniper DPI setting. With the Ironclaw, the DPI can be adjusted in steps of one. This allows the user to fine tune the DPI setting to their preference. The DPI range on the Ironclaw is from 100 to 18,000 DPI. Under the performance tab, we have just a few options to choose from. 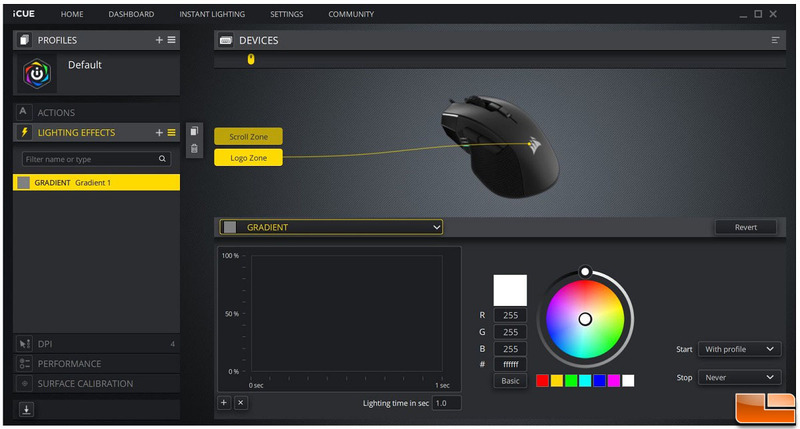 We can adjust angle snapping, the profile indicator color, and other settings corresponding to the Windows mouse pointer settings. 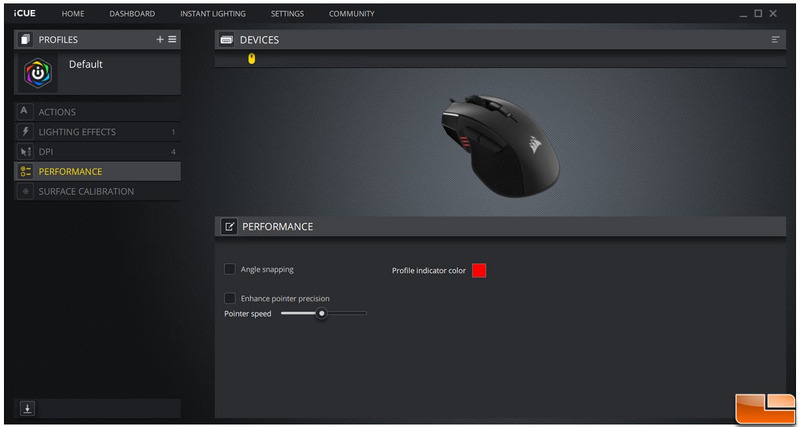 The Ironclaw mouse also has a surface calibration feature. 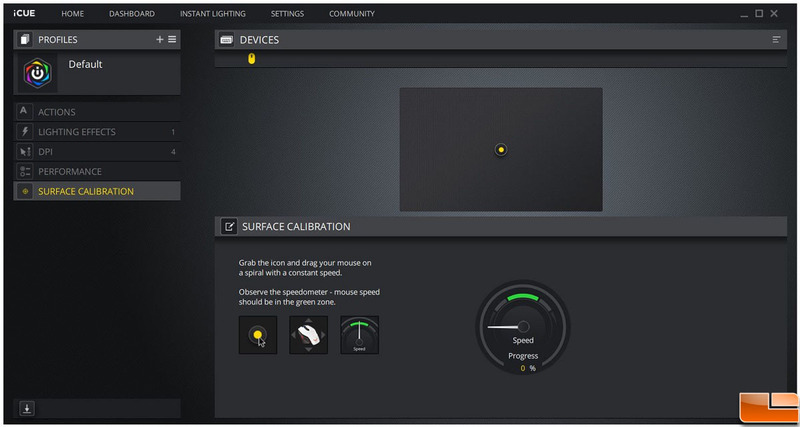 This allows the user to automatically adjust the lift-off distance from the sensor to the surface. In the next section, we will test the Ironclaw and finish this review with a conclusion.